The Commercial Electric Bright White 8 inch. Flush mount (60Watt Incandescent equivalent) uses only 13.5 watts of power and produces 900 Lumens for up to 35,000 hours of life. Ideal for use in indoor, residential or commercial lighting applications. Classic globe fixture features white acrylic diffuser. 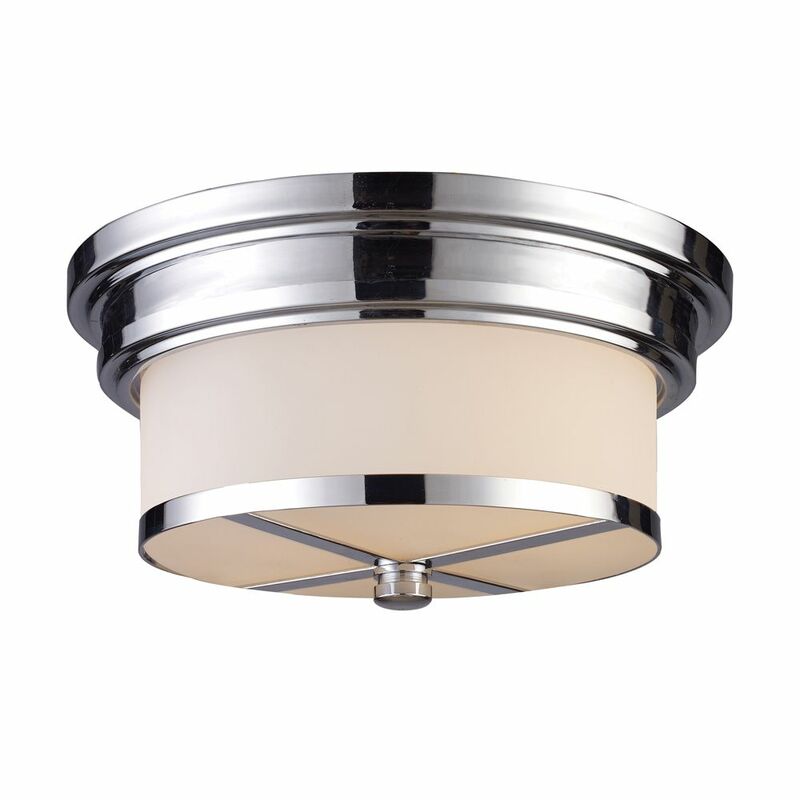 Great for hallways, utility rooms or anywhere a basic light fixture is required. This fixture uses an energy saving fluorescent light source. We recommend using warm white bulbs to provide natural color lighting. 2-Light Ceiling Mount Polished Chrome Flush Mount Light Fixture This Collection Exhibits The Same Beautiful Detailing As A Chandelier, But In A Smaller Size Suitable For Lower Ceilings And Smaller Spaces. Each Item Has An Attractive Banding On Top With White Satin Glass And A Decorative Finial. Various Styles And Finishes To Match Your Dicor.